Coco Floor Mats for 2012+ R58, R59 MINI Cooper Coupe and Roadster, and Cooper S Coupe and Roadster. 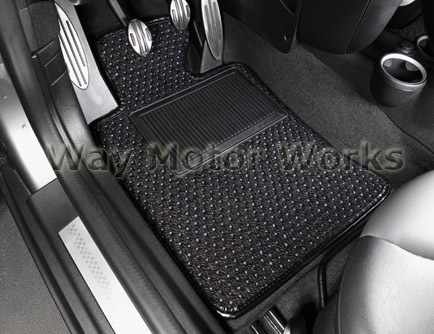 If your looking for the best floor mats for your MINI you just found them. 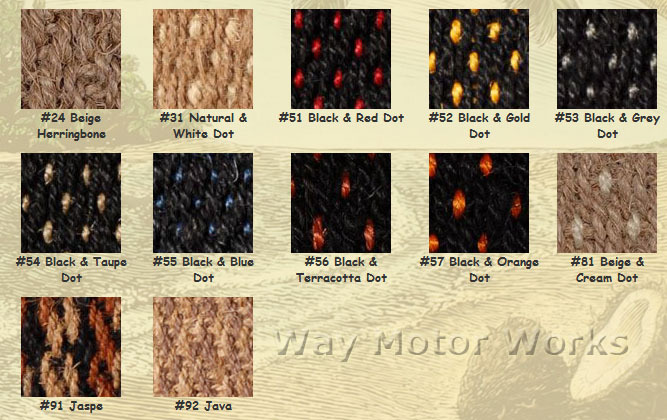 Our Coco floor mats are made from natural materials coir and rubber. Coir is India's golden gift to the world. Also known as cocos, it is a natural fibre extracted from the protective husk of coconuts. These are the original Cocomats, not knock off versions seen on many other sites. When you see these in person you can tell the quality. Just picking them up you will feel the weight of how thick and durable they are. Then the large rubber heel pad is perfectly placed, and hard durable rubber back. Then when you install them they are absolutely a perfect fit, and they don't slide around like OEM MINI floor mats. And finally you can't forget about the style, these floor mats look freakin awesome. Due to the custom fit and color combos these are made to order and take 2-4 weeks to get. Due to this fact we can not return or exchange them. WMW personally has a set of these in our MINI and love em.